A colour slide of the shoreline taken from a boat during a tour of the 30,000 Islands region of Georgian Bay. 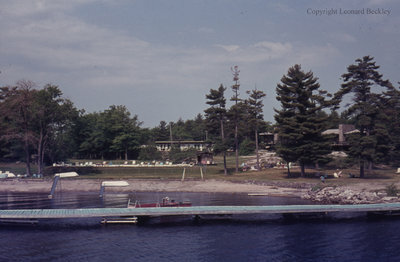 Cruise on Georgian Bay, June 1977, Leonard Beckley. Whitby Archives A2014_004_008.